Hashtags can be searched on any social media platforms and search engines like Google, Bing, etc. It’s the easiest way for people to categorize, find and join any conversation that is happening on social media platforms. People can easily look for the hashtag and acquire messages that include those hashtags. So, it basically helps you to create communities of people interested in the same topic by making it easier for them to like and share the information related to it. Creating a hashtag is not rocket science. On the contrary, it’s easier than you could have imagined! All you need to do is type the text and insert the “number” or “pound” sign “#”without any space in between. For instance, if you write blogs on big data and analytics, then you can add hashtags like #bigdata, #analytics and so on. It can be inserted anywhere within a sentence – either preceding it, mid sentence or following it. What began like a trend on Twitter, has now spilled onto other social media platforms like Google+, Pinterest, Instagram, Tumblr, Facebook, etc. 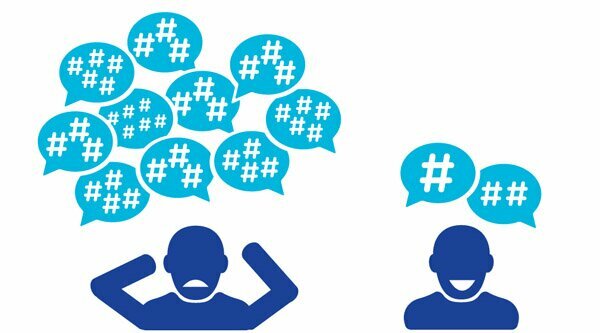 Do you often wonder how many hashtags you should use? Well, though there is no hard and fast rule to it, but to get maximum engagement, three hashtags should be more than enough. Imagine getting 10 to 11 retweets on Twitter than just two or getting may be 9 to 10 shares on Facebook. Sounds downright great, doesn’t it? However, if you use more than three hashtags, engagement actually drops. Engagement includes clicks, retweets, favorites and replies on twitter. Shy away from adding very long hashtags, otherwise it might just resemble a whole lot of spam and may be rejected. While using your hashtags, always double check whether it is being used in the right context or not. To get the best results, you need to check how strong your hashtags are, the trending hashtags and how your hashtags are trending across multiple networks. How do you do that? Listed below are some tools that work wonders! • Hashtagify.me gives you deeper statistics on individual hashtags. It also shows alternative hashtags you could consider. 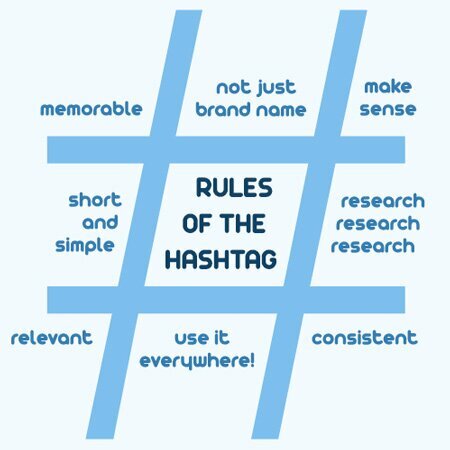 • RiteTag ensures that your hashtags are well chosen by indicating whether they are great, good or overused. • Tagboard.com allows you to check how your hashtags are used on different networks like Twitter, Facebook, Google+, Instagram, etc. • Want to use trending hashtags? All you need to do is click Trendsmap.com. It will show you the trending and relevant hashtags in your geographical area. All said and done, what are you waiting for? Try incorporating hashtags on all micro-blogging and social networking sites that you maintain. See the engagement rate and you will realize what a difference a simple symbol can make.